A refreshingly and soothing spearmint breeze with zingy freshness menthol fans will love. For use with the Vype eStick Maxx Kit only; not compatible with Vype eStick or Reload kits. Where can I find Vapestick cartomizers? 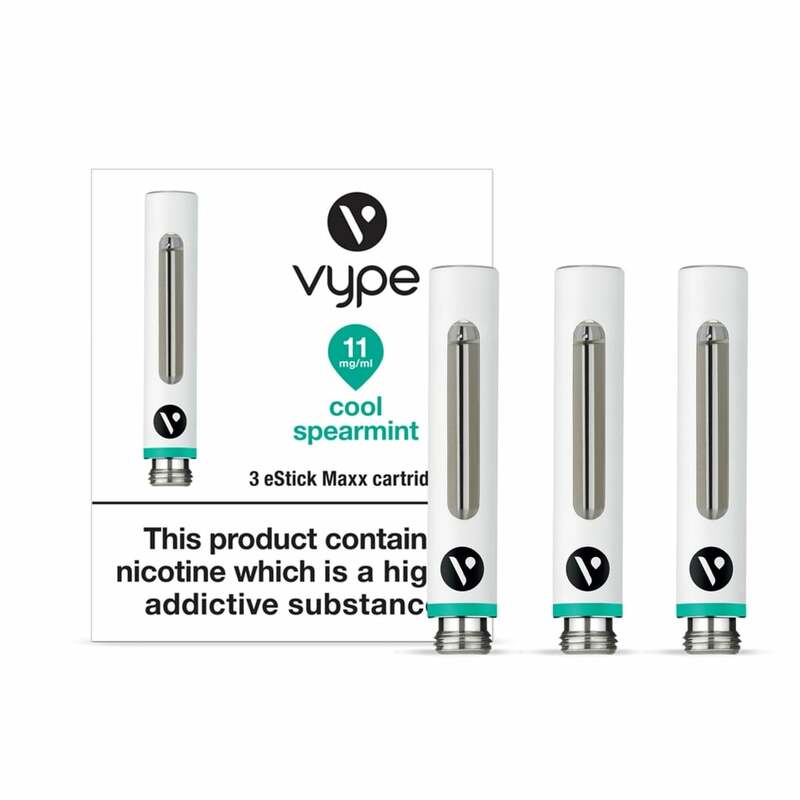 Vapestick products are available for a limited and some items are set to expire. If a flavour or strength you typically purchase isn't showing on-site, it's likely that we no longer stock the item. If you have been affected by this, it's worth checking out our Hoxton Classic range. All Hoxton Classic cartomizers are compatible with Vapestick batteries, and vice versa, meaning you can use Hoxton cartomizers with Vapestick batteries too! Hoxton Black cartomizers are available with 18mg nicotine content and come in tobacco and menthol flavours. This flavour suits me fine. I can only speak for myself as others might prefer other tastes.